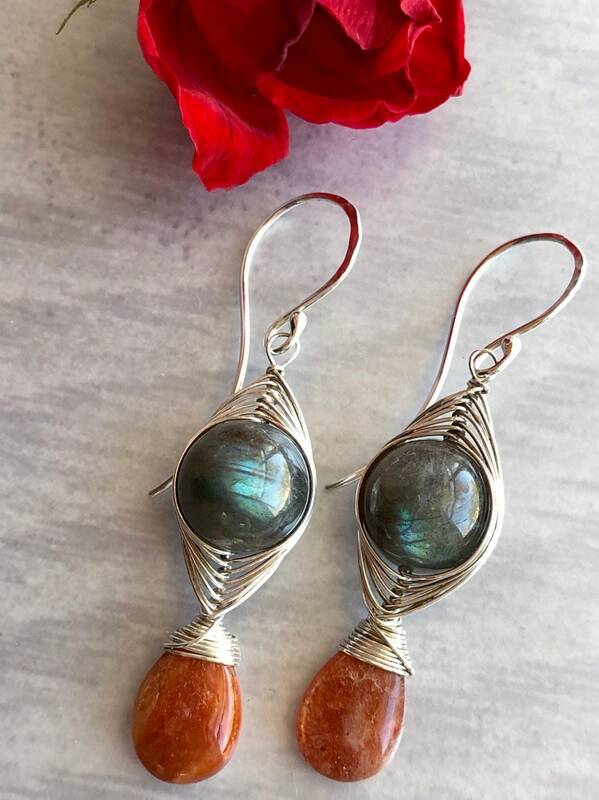 Lustrous blue-green labradorite and bright sparkling sunstone are wrapped in an intricate silver herringbone weave. 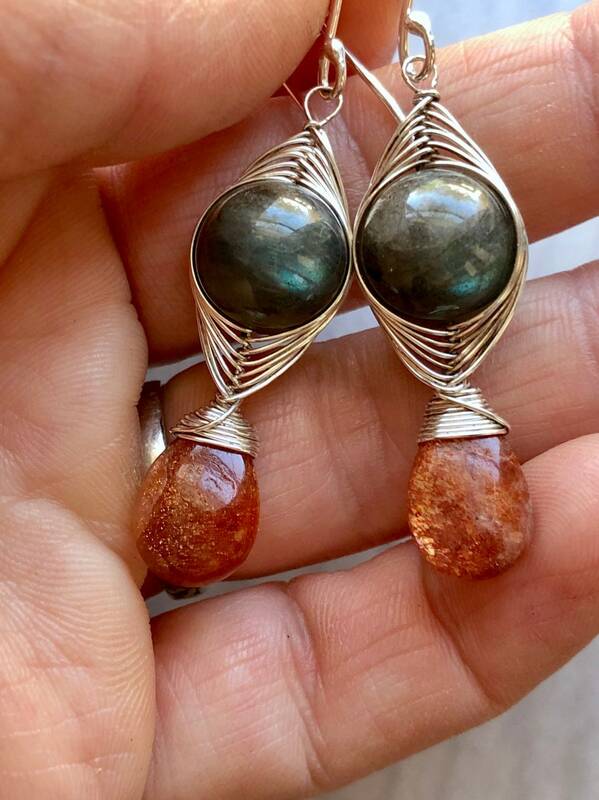 The ear hooks are bent into an elegant lotus petal shape. 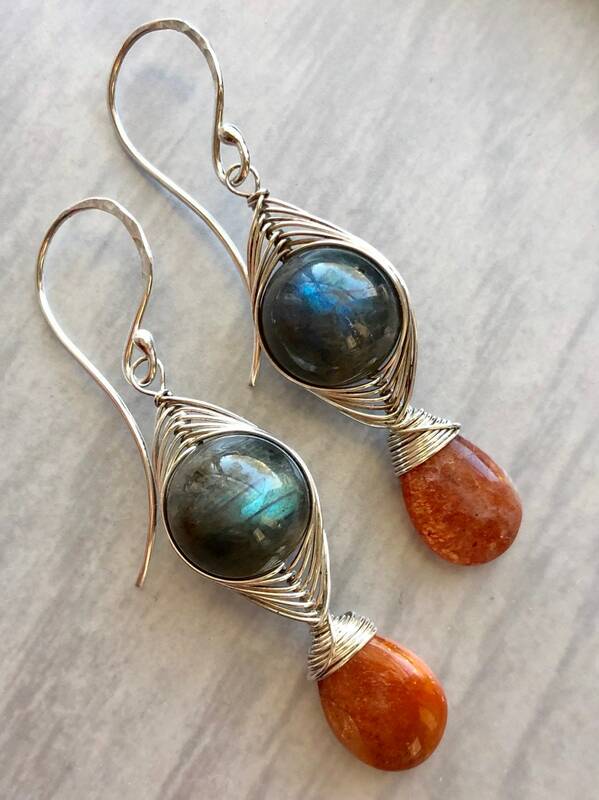 • These earrings measure approximately 2.25" long. 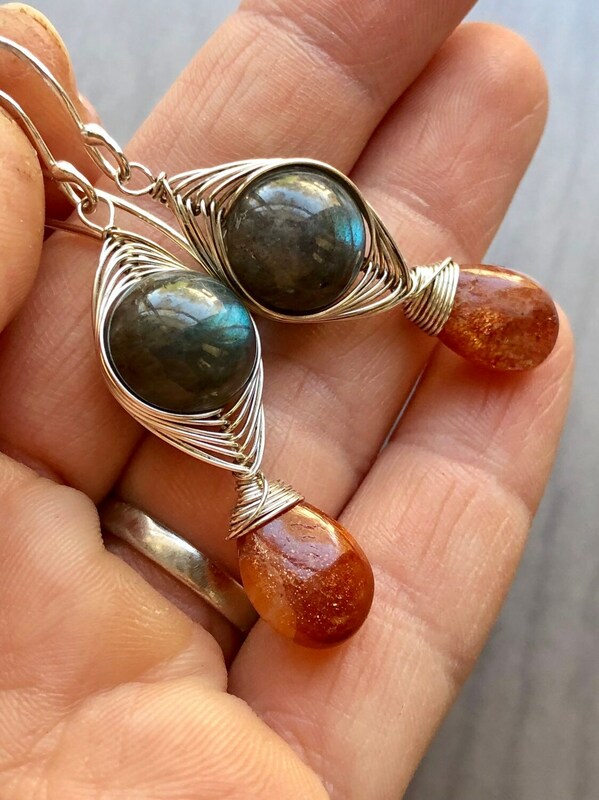 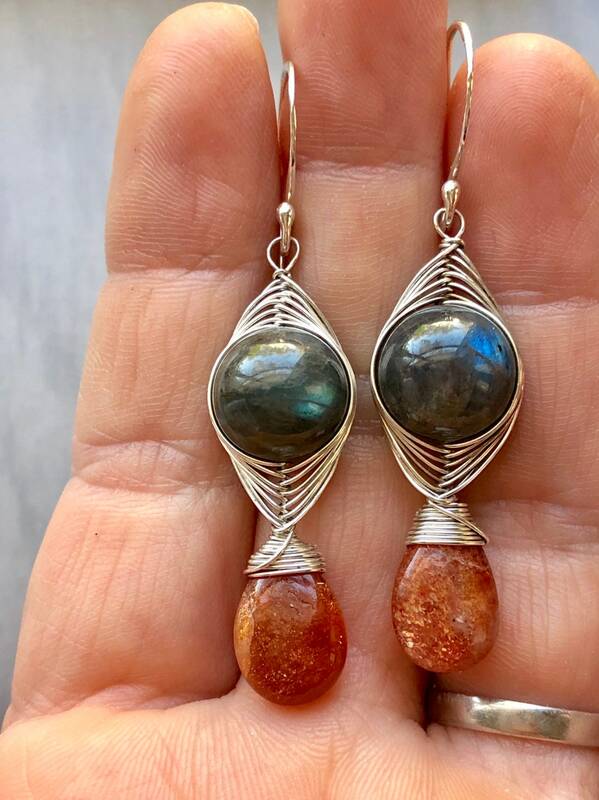 • These earrings are made to order, so the labradorite used may be slightly more blue or green than those in the photos above.